Kolkata, April 13: Former India captain Sourav Ganguly backed MS Dhoni in the no-ball controversy, saying the former India skipper is human at the end of the day and his competitiveness is remarkable. "Everyone's human. 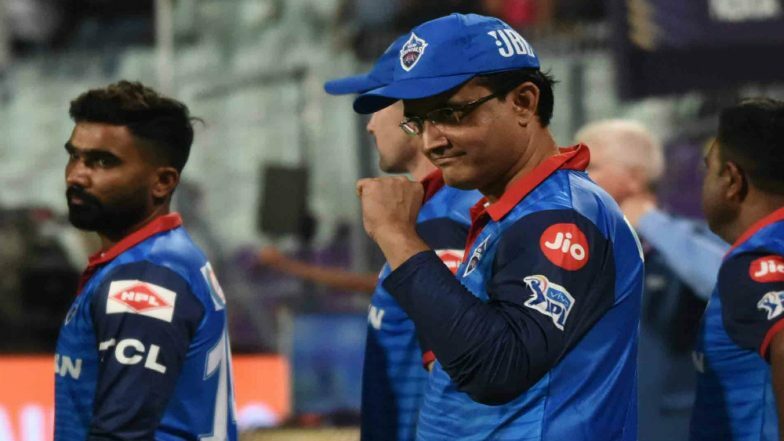 What stands out for me is his competitiveness, which is remarkable," Delhi Capitals advisor Ganguly told reporters at the end of their seven-wicket win over Kolkata Knight Riders here on Friday. Like Players, Umpires' Code a Must, Says BCCI Treasurer Anirudh Chaudhry After MS Dhoni Confronting Umpires in RR vs CSK IPL 2019 Match.